Are Tinnitus Control Instruments Effective? The use of tinnitus control instruments along with taking other measures to aid tinnitus treatment is an effective way of dealing with the condition that manifests symptoms in the form of ringing or buzzing sounds in the ear or head, in the absence of any external sounds. 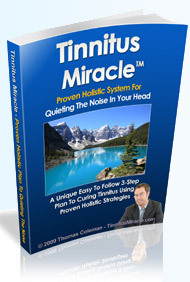 Tinnitus control instruments abound the markets in many different forms and styles. Most of these instruments or devices that are available in the market are some variation of the basic noise generator that was initially devised for use for tinnitus sufferers seeking some relief from the annoying sounds of tinnitus. Noise generators are devices that produce low frequency ‘white noise’ to distract the brain and reduce perception of the tinnitus sounds. Over the years these noise generators have gone through more comprehensive studies and research and the end result is that today’s noise generators are far more advanced than their counterparts that were available a couple of years ago. A lot of these instruments come with adjustable controls to adjust the instrument setting to an individual’s requirements. Many contain programmable options that are quite user friendly. However, the ready availability and ease of use can sometimes make tinnitus control instruments a hindrance to finding a permanent solution to tinnitus. · Tinnitus control instruments come in a variety of types and some devices have their sound frequencies set to match the tinnitus sounds in the ear. Tinnitus sounds do not follow the same pattern for all cases. Therefore picking up the right instrument is of extreme importance. · In order to correctly identify the tinnitus sounds, an examination by a physician is called for. A careful diagnosis will reveal the exact nature of the tinnitus and thereafter a treatment for the problem can be determined. · In order to fully take advantage of tinnitus control instruments , a follow-up has to be pursued in the form of treating the root cause of tinnitus after a holistic evaluation of the entire body functions.